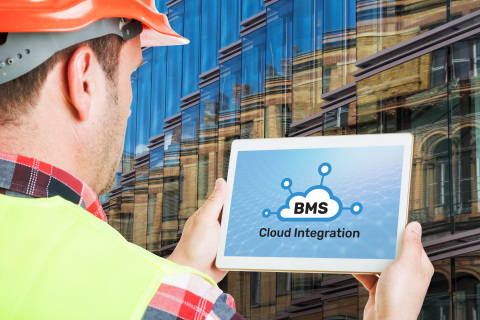 by Brianna Crandall — April 1, 2019 — Building management software company BuildingIQ says it has become the first building management system (BMS) cloud integrator in the smart building services market by entering into an agreement with Sauter Controls North America. Through the addition of building controls to its cloud-based optimization platform, BuildingIQ reportedly defines a new category of integrator that optimizes BMS implementation and creates cloud-ready buildings designed to share and leverage data across functional boundaries. As the first BMS cloud integration company, we are uniquely positioned to bring the building automation system, and [complementary] IoT hardware with control capabilities, into the cloud for data analytics and optimization. Starting in markets like Australia and expanding into North America with Sauter, we are rolling out our cloud integration services with a holistic mindset — resolving to break down the walls around the heating, venting and air-conditioning building management system and blurring the boundaries between the BMS and IoT. Initiating the BuildingIQ 5i journey to cloud optimization early in a building’s life de-risks and minimizes the huge integration investments building owners face as they move to cloud-based analytics and optimization, according to BuildingIQ. Research estimates that global commercial building owners and facilities managers are expected to invest USD $960 billion through 2023 on adopting smart building networks to reduce the operational costs and energy consumption of their existing infrastructure. At nearly $1 trillion, it’s all but inevitable that the building you and I work in every day will one day be cloud-connected, AI-optimized and guided in part from the cloud. With BuildingIQ cloud integration, building owners undergoing improvements through retrofits, building additions or upgrades to outdated building controls systems can begin the cloud optimization journey at the retrofit or construction phase when new systems are being designed and installed. BuildingIQ then collects inputs from the new or existing BMS and IoT devices and uses artificial intelligence to guide the building through the journey from cloud commissioning to remote management and optimization. For existing buildings utilizing BuildingIQ’s Outcome-based Fault Detection service, opportunities for retrofits can be revealed via data-driven insights into the daily operations of a building — targeting retrofit spending and verifying upgrade results. BuildingIQ helps building owners and operators worldwide lower energy use, increase building operations efficiency and enhance tenant comfort. The company’s 5i cloud-based optimization platform and managed services reportedly deliver on the promise of Internet of Things (IoT) for buildings with none of the drawbacks. Over 125 million square feet of building space is currently under management with BuildingIQ.